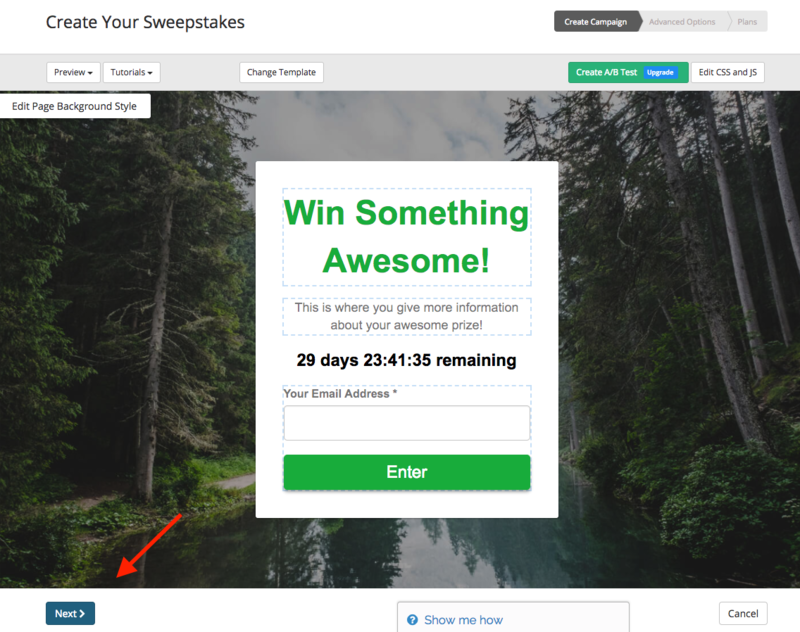 Within your Sweepstakes editor navigate to the “Next” button in the lower left corner . 2. You will be redirected to the next page which are your Advanced Settings. Navigate to the “Choose where your campaign will appear” and click.